This month marks the 86th anniversary of the 1933 world premiere of King Kongin New York. Klieg lights swept the skies over Radio City Music Hall and the RKO Roxy across the street, where a combined audience of 9,000 filled every seat, that night and for weeks to come. Two weeks later, the film premiered at Grauman’s Chinese Theater in Hollywood. In both cities the film astounded and delighted the public. Its success saved the RKO studio from bankruptcy and some say it even saved the motion picture industry, reawakening public excitement in movies when the business was struggling to attract audiences in the hard times that had gripped the country. This has to be an open letter because I’ve never had a precise address for you. 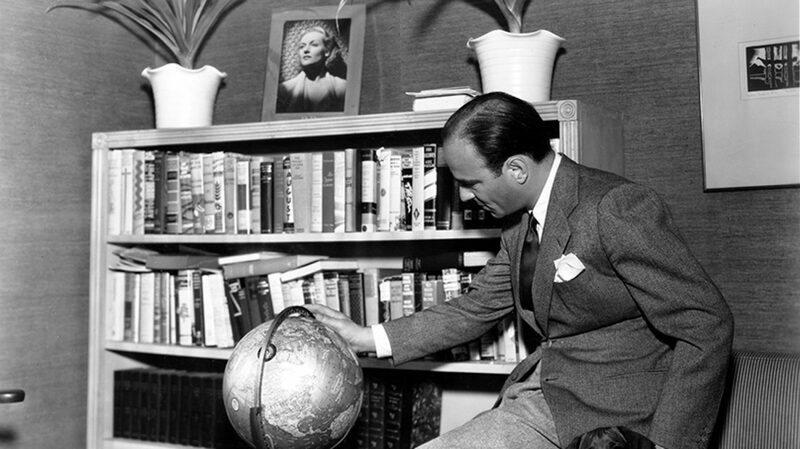 A few years ago, a Mr. Auerbach wrote in The New York Times that he had interviewed you at your island home. But I do not want to chance addressing you at just Skull Island; today, without a zip code—who knows? I wonder if you know how strong a force you have been in my public life. Four years before filming Kong, my mother had made her final silent film, The Four Feathers, with Coop and Monty. She loved their zest for life and always looked forward to the chance to work with them again. “Fay,” Marion Cooper said, “I am going to cast you opposite the tallest, darkest leading man in Hollywood.” She had just returned to Los Angeles from Broadway where she had starred opposite a wonderful newcomer, Cary Grant, whom she adored. For a moment she dared to imagine that her co-star might be Cary or, if not, maybe Clark Gable. Then Cooper swept open a curtain and revealed his rendering of the giant Kong and the enormous jungle sets. Cooper pounded his chest like Kong, my mother laughed, and that was that. Cooper and Schoedsack, never ones to miss an opportunity, used the same sets to film The Most Dangerous Game at the same time as Kong and cast her in this one as well, opposite Joel McCrea. She shuttled back and forth between the productions, sometimes throwing on a blonde wig, escaping from Kong on one set and Count Zaroff on the other. She loved every minute. King Kong spawned two remakes, one produced by Dino de Laurentiis with Jessica Lange as Ann Darrow, the other by Peter Jackson with Naomi Watts. The original movie inspired a mega-ride at Universal Studios, and King Kong T-shirts and Halloween masks, costumes and mugs are sold at the Empire State Building—an entire cottage industry. There was a time when King Kong screened somewhere in the world every day, and it remains on most lists of 100 best pictures. “Fay Wray” is routinely an answer in crossword puzzles, Fay Wray and King Kong are used regularly in jokes and cartoons, and her name was even adopted by a rock band. Wray and Kong are tied together—there’s no getting around it. It would never have occurred to Merion C. Cooper and Ernest B. Schoedsack nor to my mother that the giant ape would still be captivating New York audiences 86 years later. As I walk around the city today there he is, on billboards and posters everywhere in his newest incarnation, having emerged from his long retirement to open in a new $35,000,000 musical on Broadway. There he stands, towering in all his dramatic and gigantic glory, an enormous man-made gorilla brilliantly maneuvering around the stage with the help of athletic puppeteers working with wires and ropes—again, as in 1933, to the astonishment of a rapt, cheering audience. His movements, gestures, facial expressions, emotions—all are uncannily realistic, even human. This time Ann Darrow is in the hands of an effervescent young woman, Christiani Pitts, who, appropriate to the times, is feistier and more independent than any of her predecessors. When I attended the production and Christiani invited me backstage, I was received with the nicest, warmest greeting from her and the rest of the talented cast and crew. I wished them well and told them I thought my mother would have been very proud of them. 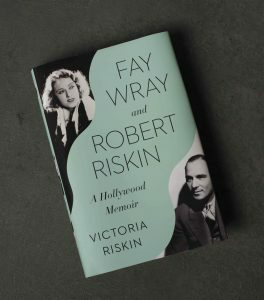 Victoria Riskin is an award-winning television writer, former president of the Writers Guild of America West, and the author of Fay Wray and Robert Riskin: A Hollywood Memoirthat tells the story of her family and includes her mother’s journey from Utah to Hollywood in the ’20s and her stardom.